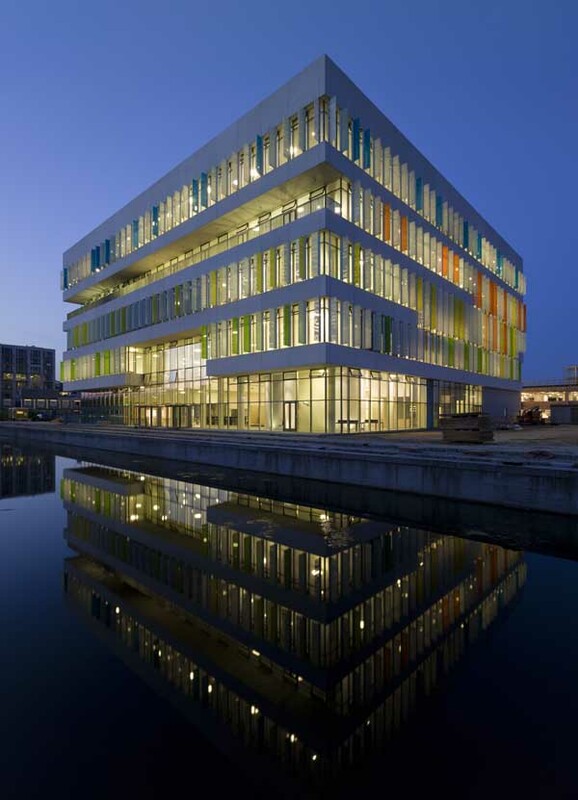 3XN's "virtual college", Ørestad College, has been nominated for the honourable Mies van der Rohe Award. 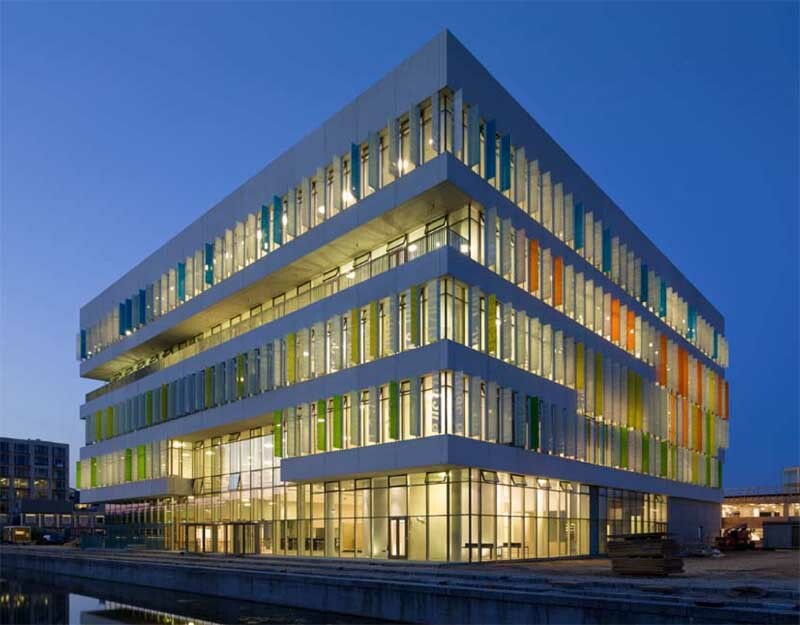 Ørestad College was built in immediate continuation of new legislation in the Danish educational sector in 2005 and is an educational building remarkable for its complete absence of class rooms in the traditional sense. At present, the gymnasium is the most-applied-for in Denmark. 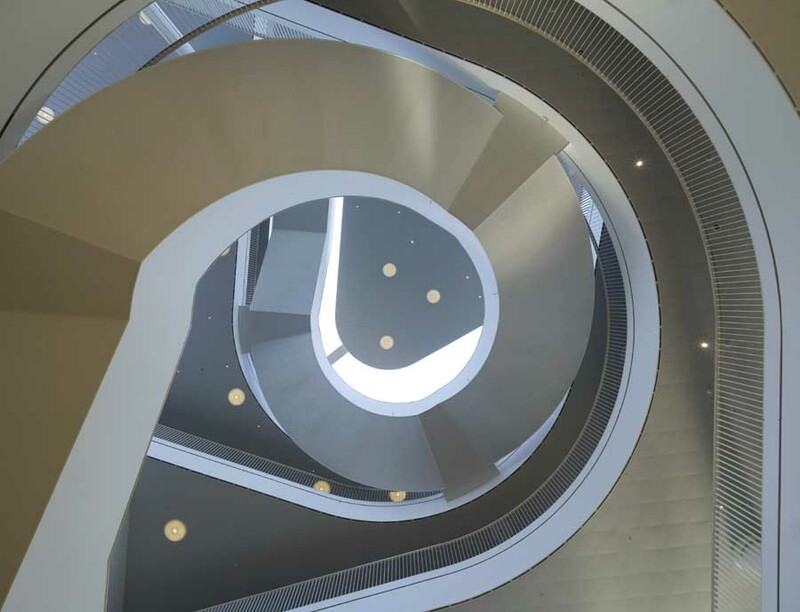 The Mies van der Rohe European Union Prize for Contemporary Architecture is given away every second year for the purpose of recognizing and paying tribute to European architecture of high quality. 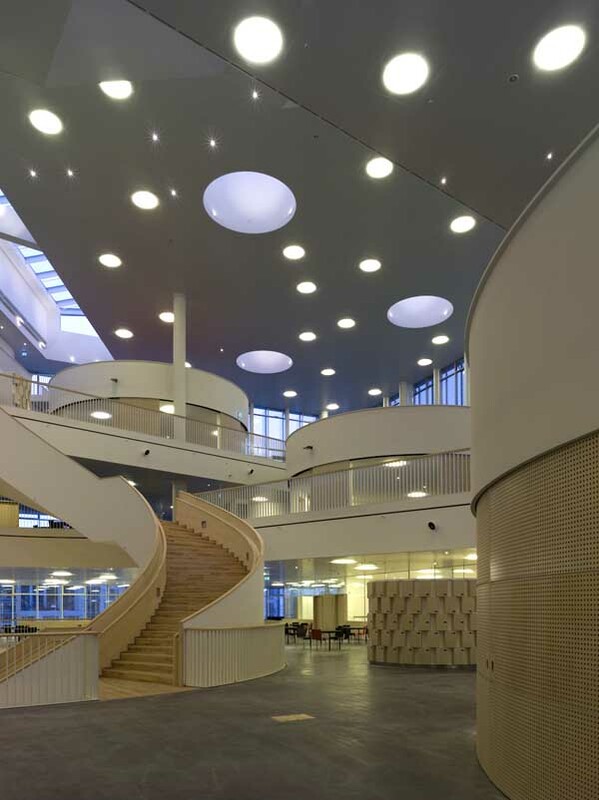 Ørestad College has already received international praise - e.g. the Forum AID Award 2008 for Best Architecture in the Nordic Region. Adviser: Helle Mathiasen, cand. pæd. ph.d. 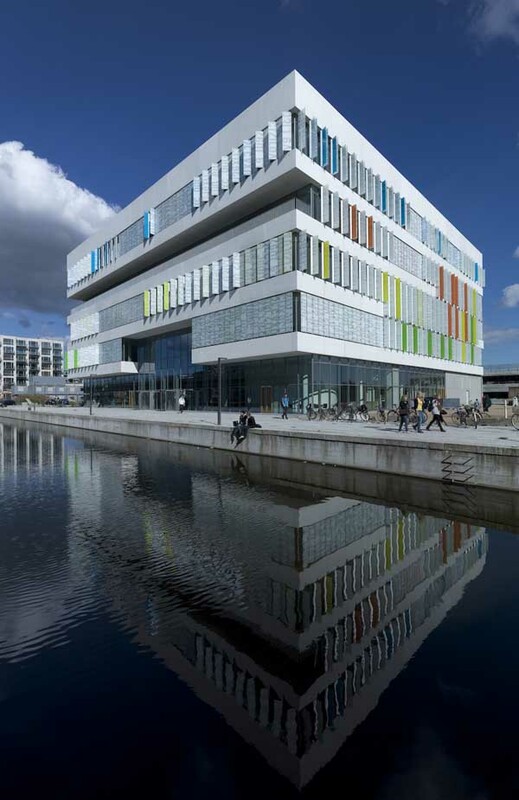 The Ørestad College will be the first in Denmark to fulfil new educational visions regarding subjects, organisation and teaching systems. Communication, interaction and synergy has been key issues. 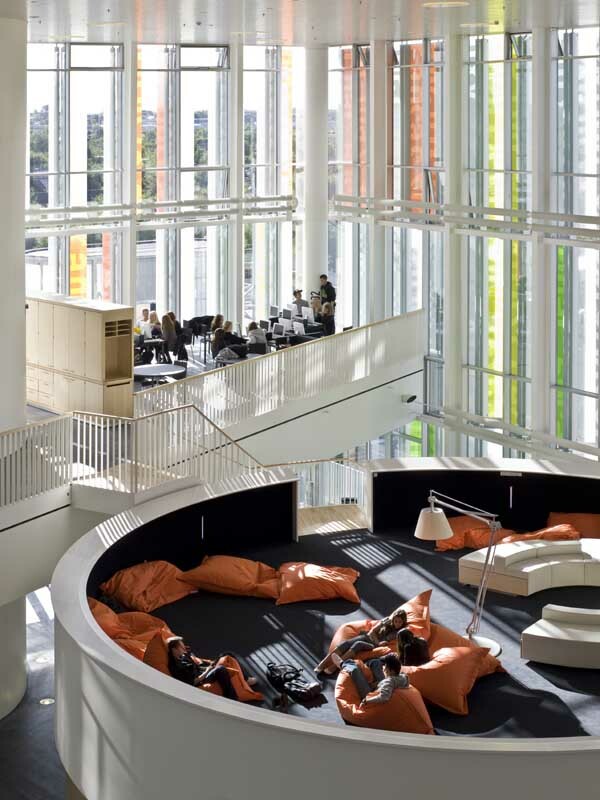 The project displays a visionary interpretation of openness and flexibility regarding team sizes, varying from the individual over groups to classes and assemblies, and reflects international tendencies aiming at achieving a Ørestad College Ørestad, Copenhagen, Denmark more dynamic and life-like studying environment and introducing IT as a main tool. The intention is also to enforce the students' abilities gradually to take responsibility for own learning, being able to work in teams as well as working individually. The college is interconnected vertically and horizontally. Four boomerang shaped floor plans are rotated to create the powerful super structure which forms the overall frame of the building – simple and highly flexible. 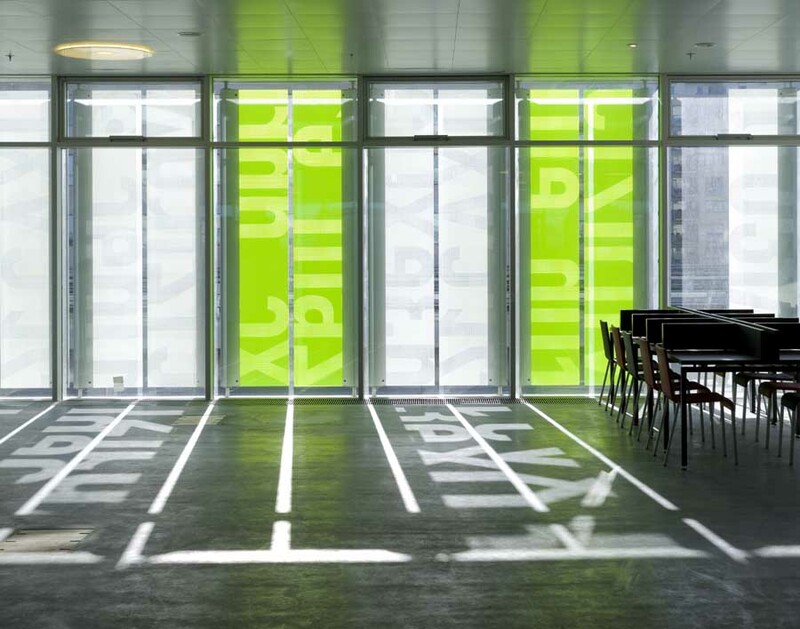 Four study zones occupy one floor plan each. 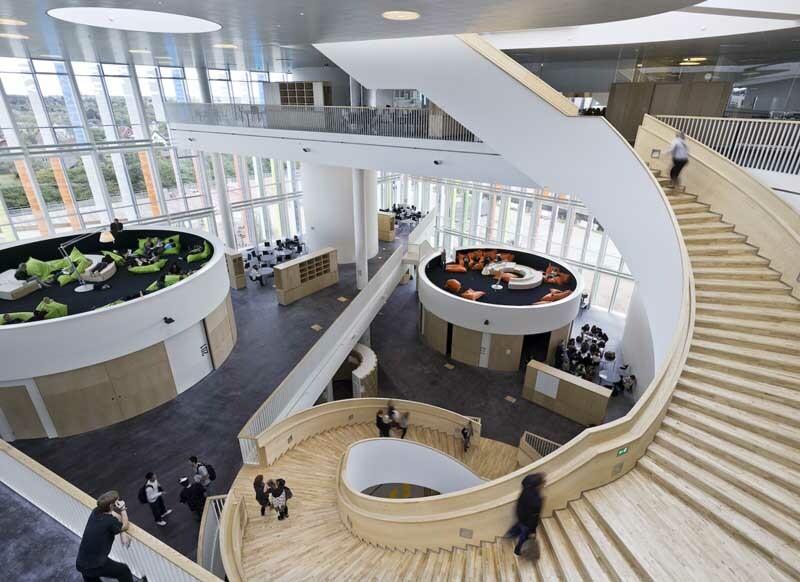 Avoiding level changes makes the organisational flexibility as high as possible, and enables the different teaching and learning spaces to overlap and interact with no distinct borders. 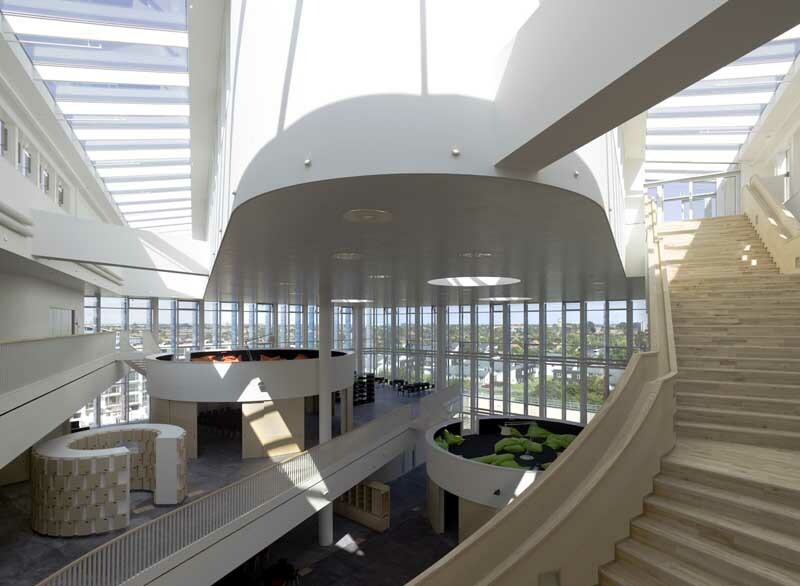 The rotation opens a part of each floor to the vertical tall central atrium and forms a zone that provides community and expresses the college's ambition for interdisciplinary education.